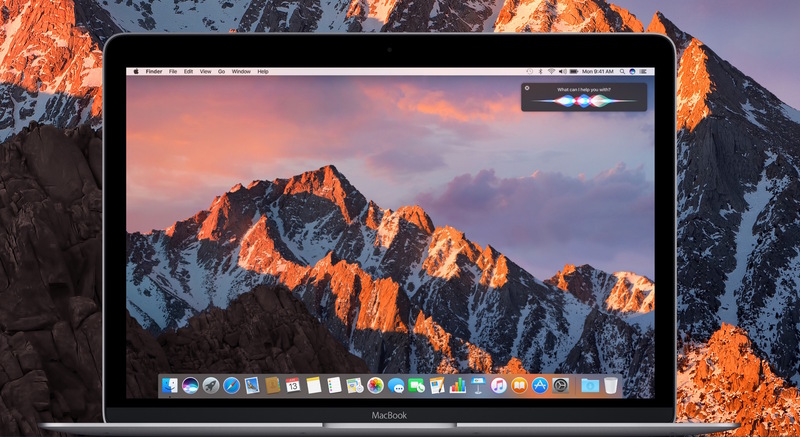 We know OS X is now macOS, and the first major version is macOS Sierra. So what new features does it have? SVP of Software Engineering Craig Federighi is on stage at Apple’s WWDC keynote running through the new additions and improvements in the software, and there are some great ones. 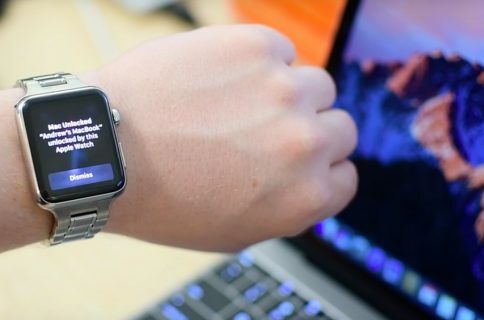 The main focuses for this update are going to be Continuity, iCloud and “the fundamentals of the Mac experience.” The first big new feature for the group is Auto Unlock, which allows you to automatically unlock your Mac with your Apple Watch—meaning, if you have your Watch on, you don’t need to type in your password. Another big new feature is Universal Clipboard. Like the name suggests, this means that clipboard will work across macOS and iOS. So copying something on your iPhone will add it to your Mac’s clipboard and vice versa. The Tabs feature from Safari is also now universal, meaning you can use tabs across all Mac apps that support multiple windows including Maps, TextEdit and even third-party apps. 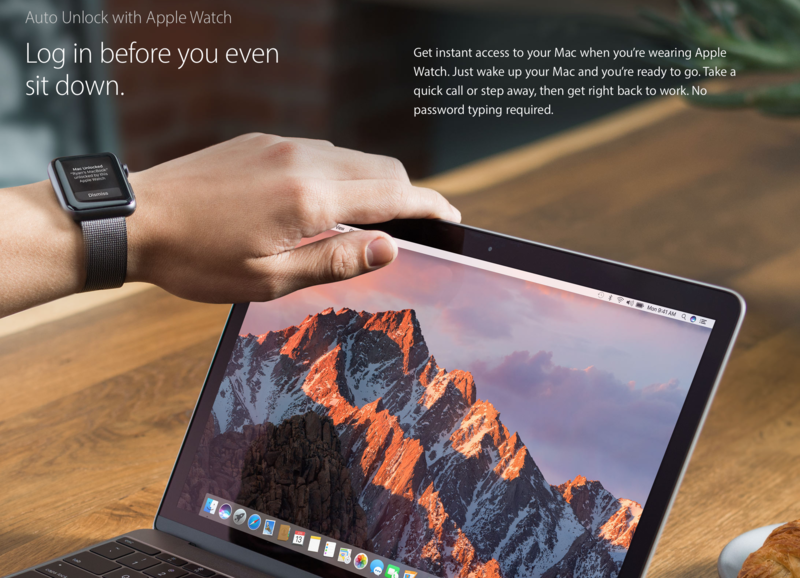 Additionally, Apple Pay is coming to the Mac via the Safari web browser (as rumored). When you shop online, you’ll have an Apple Pay button which will prompt you to authenticate on your phone or watch with TouchID or a tap on the wrist. Apple is also bringing Picture in Picture to the Mac, so you can float video from Safari or iTunes in a window over your desktop as you work. As with iOS, you’ll be able to resize, drag and pin the video window. 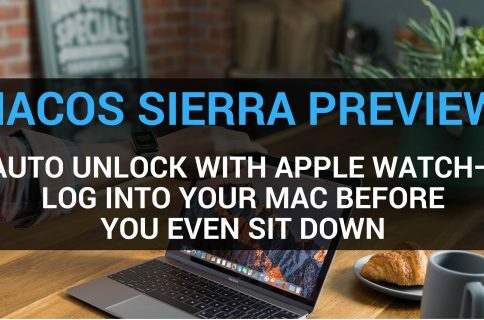 With macOS Sierra you can automatically access all the files on your Desktop and in your Documents folder from any Mac, iOS device or even PC. You simply save your files on your Desktop or within your Documents folder as you usually do and you will have them everywhere you need them. You can access your files on your iPhone and iPad in the iCloud Drive app, on iCloud.com, or via the iCloud for Windows app. And when you log into a second Mac, your files are automatically on the Desktop and in the Documents folder, exactly where you saved them. Finally, Federighi announced that Siri is coming to the Mac.The familiar features of Siri will soon be available on your desktop with brand-new capabilities specifically designed for the Mac. Easily accessible from the Dock, menu bar or keyboard, Siri will let you use your voice to search for information, find files and send messages. For example, you can ask Siri to locate a specific document you worked on last night, add a meeting to your calendar or start a FaceTime call. 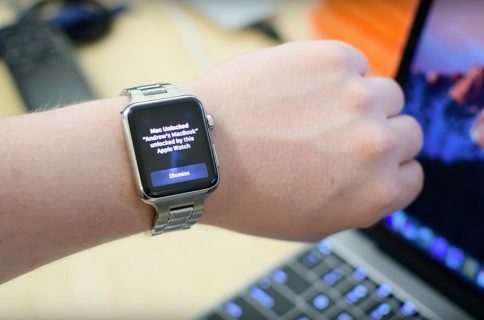 You’ll also be able to do things like drag and drop items from Siri search results into your documents or emails, pin Siri search results in Notification Center to keep an eye on information like sports scores or stock prices, and even adjust system preferences, set reminders and search your Photos library.